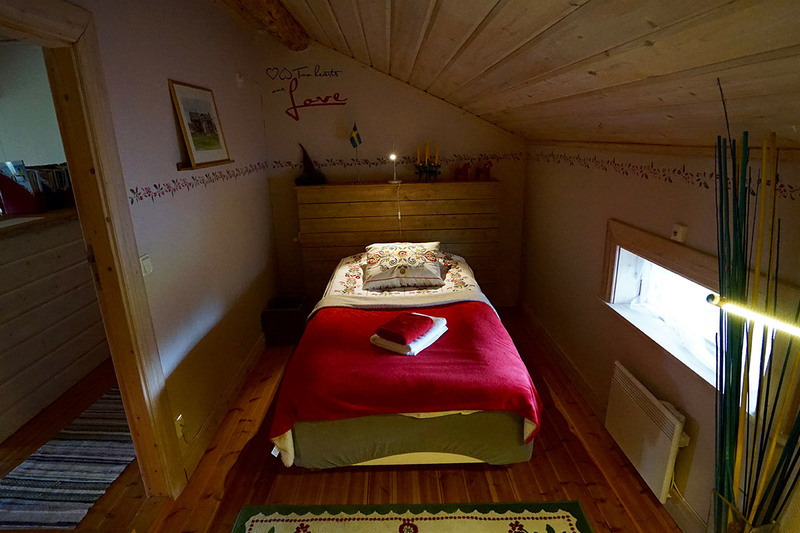 We have five types of rooms at the Guesthouse, located in five buildings. 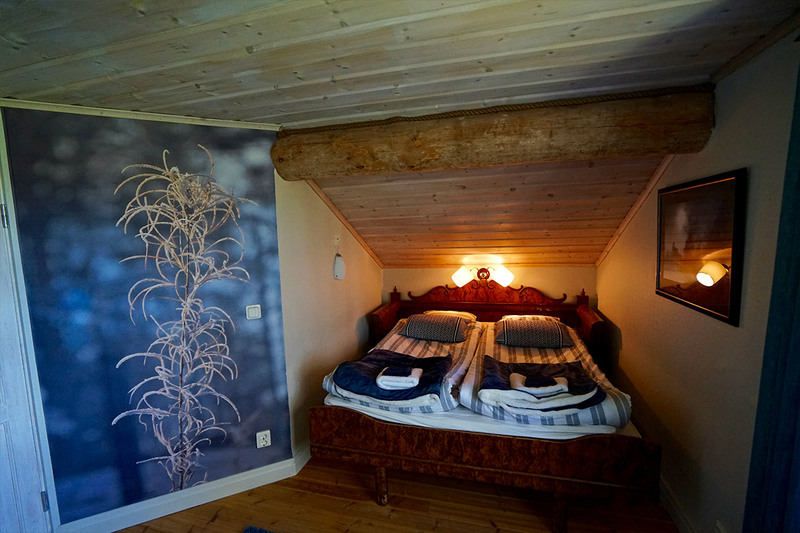 All individual rooms are unique and decorated in its own theme. 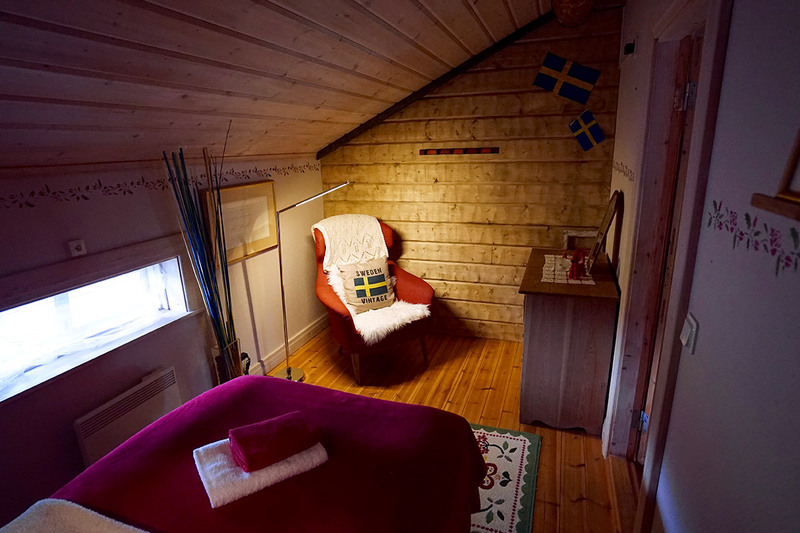 Wood-fired sauna & Jacuzzi is running between 16-19 daily or by request. 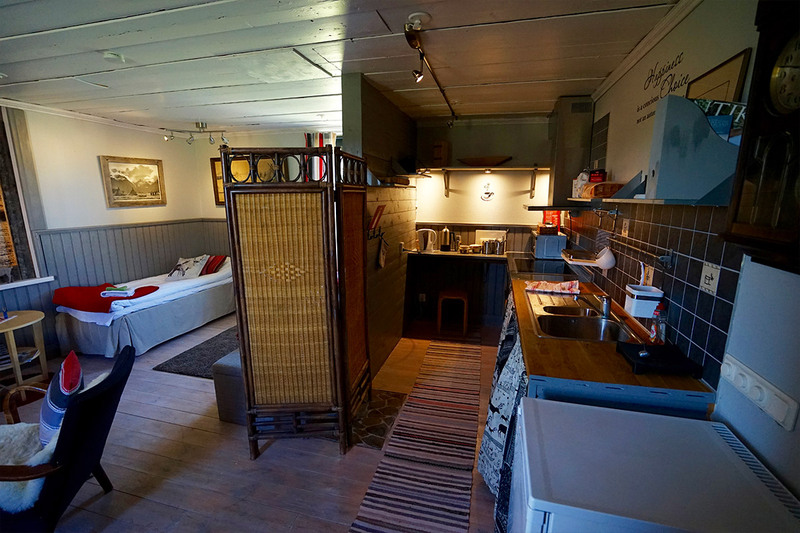 Large double room with shower and toilet. 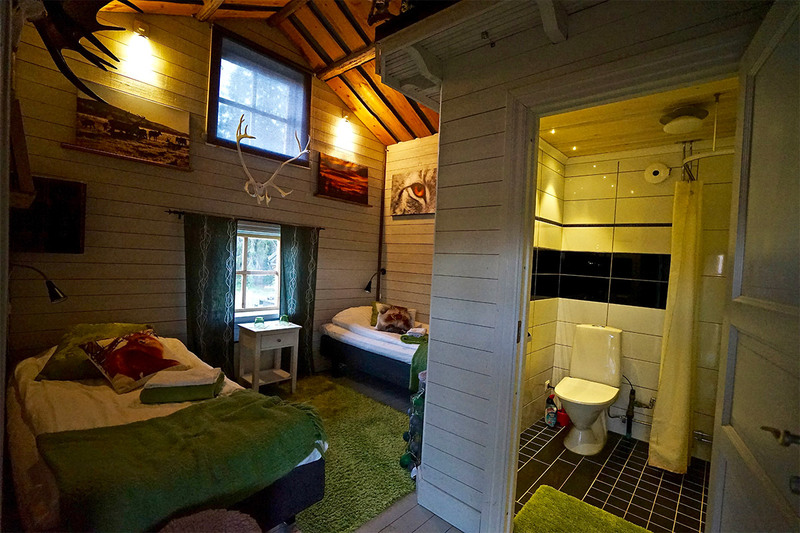 Double rooms with Shower and Toilet. 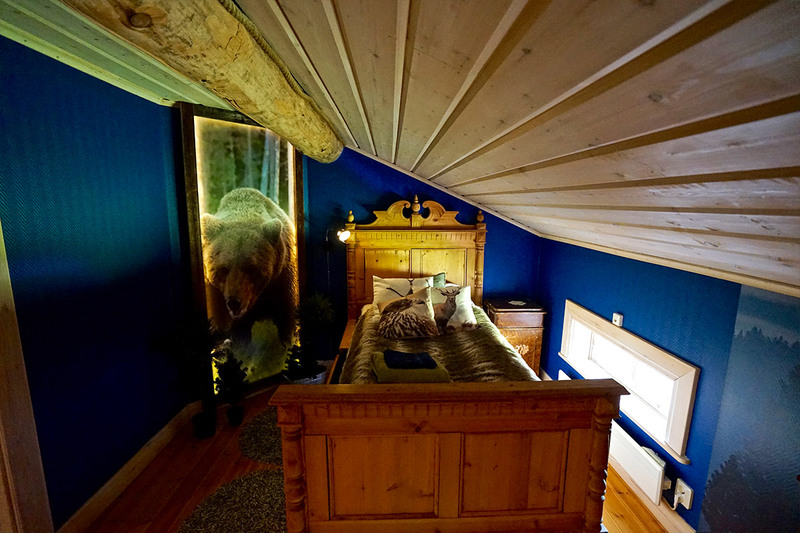 All our rooms are unique. 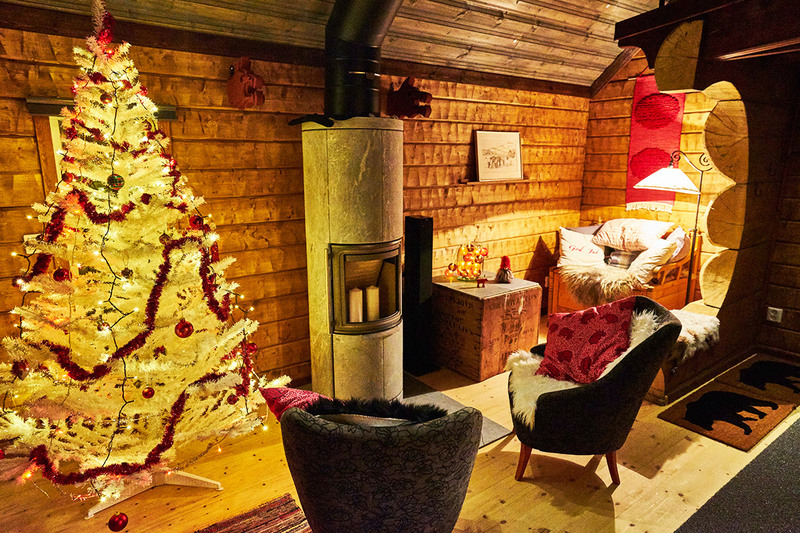 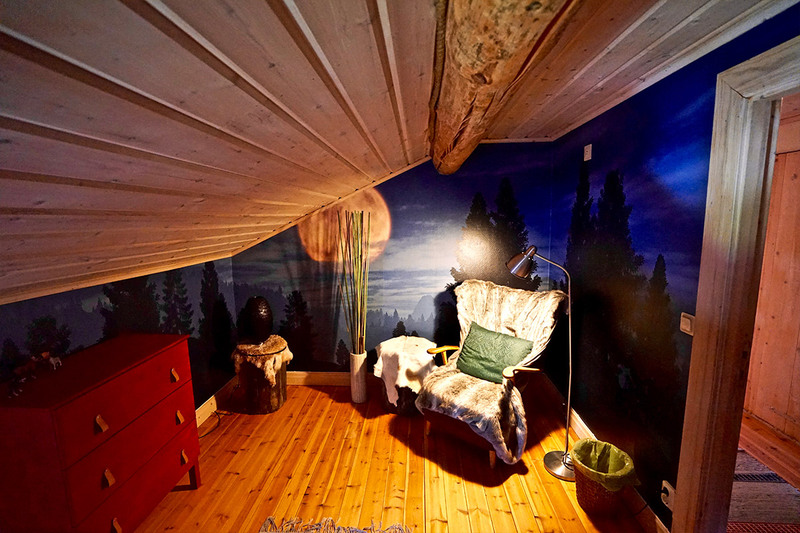 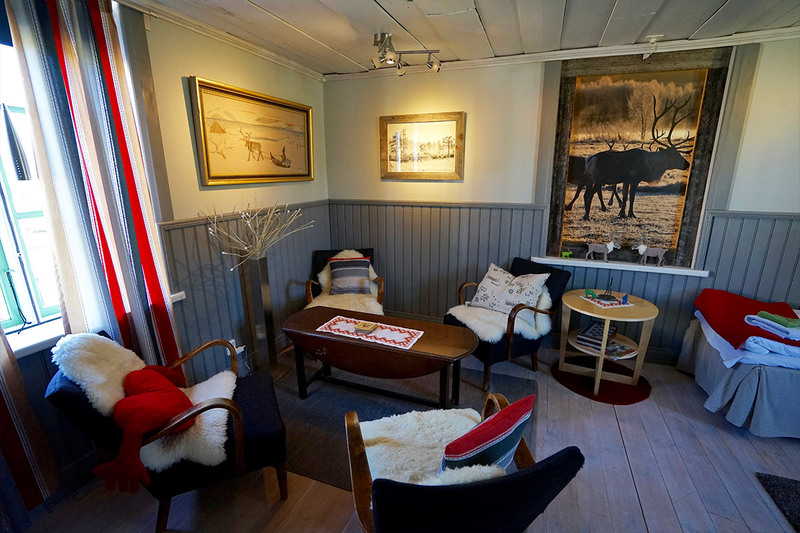 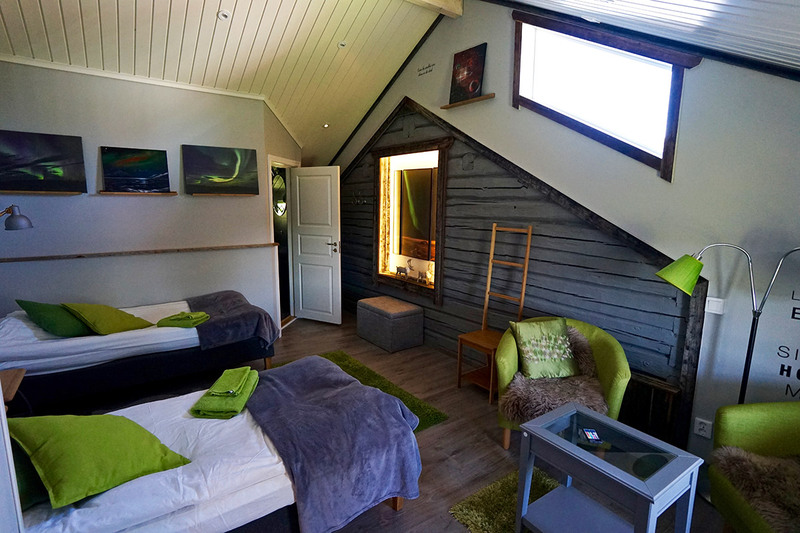 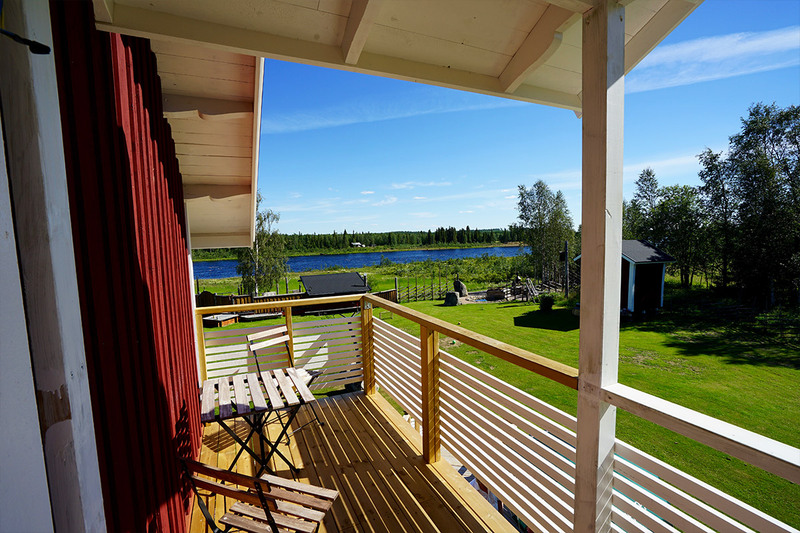 Spend your stay in Forest, Kaamos or the Owl´s nest. 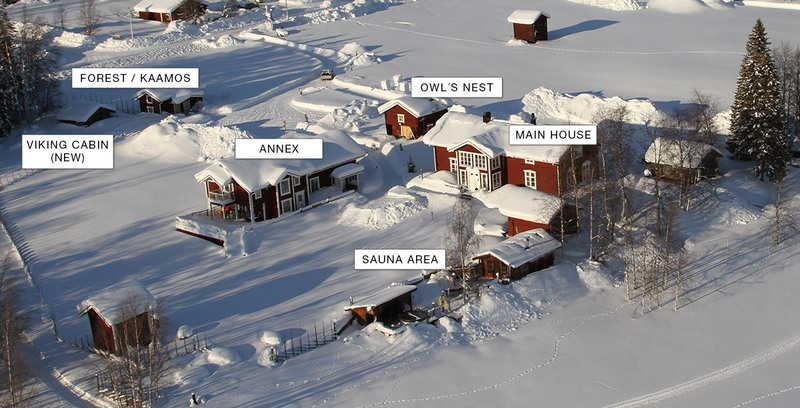 The Owl´s nests is located in its own building. 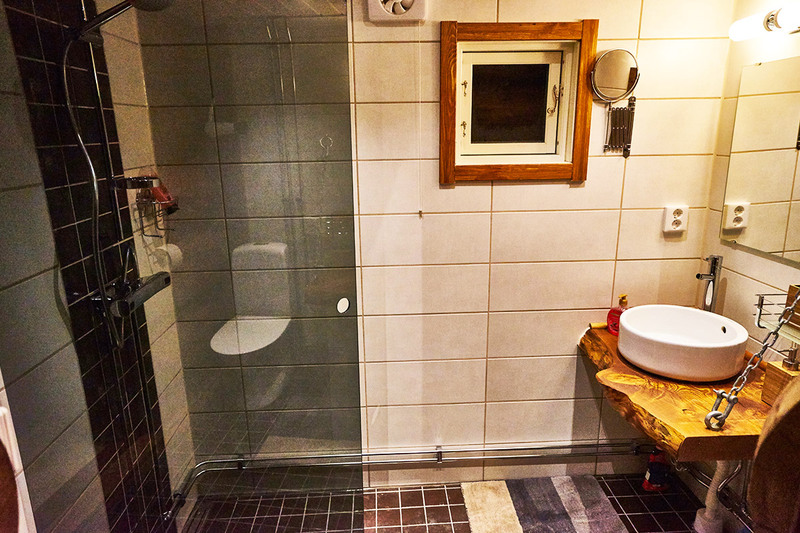 The Shower is in a separate building. 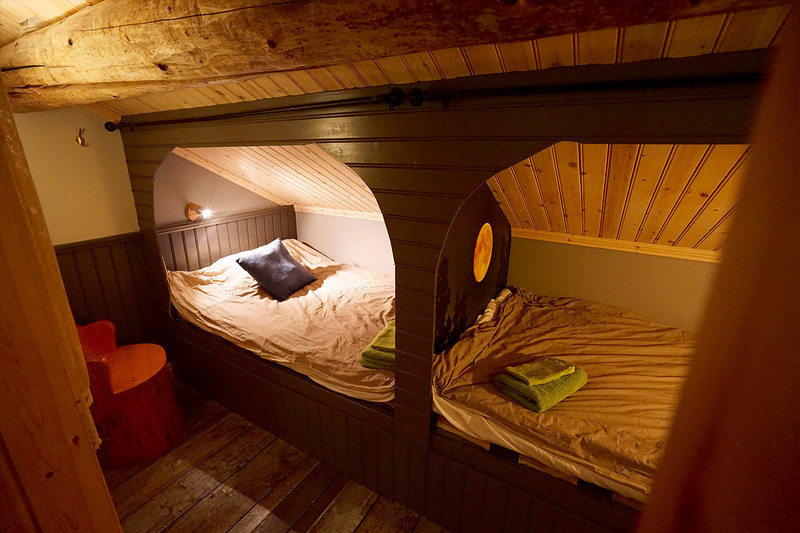 For up to 6 people. 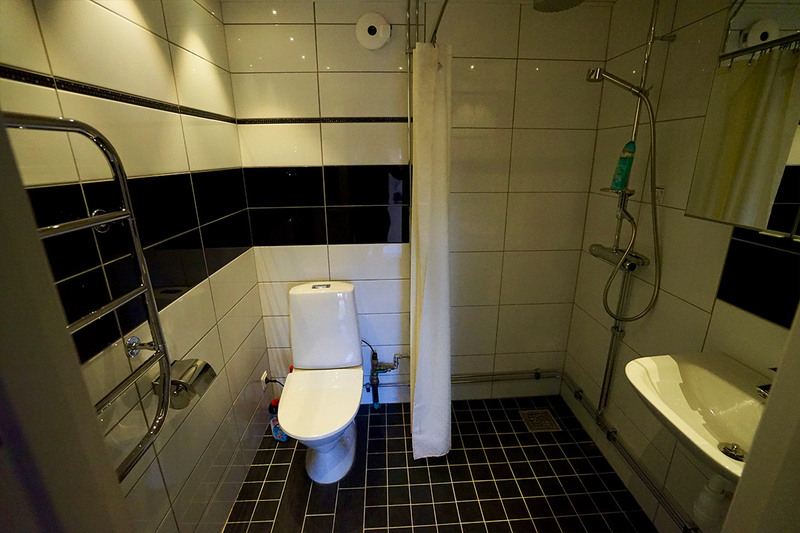 It has all the amenities you could need. 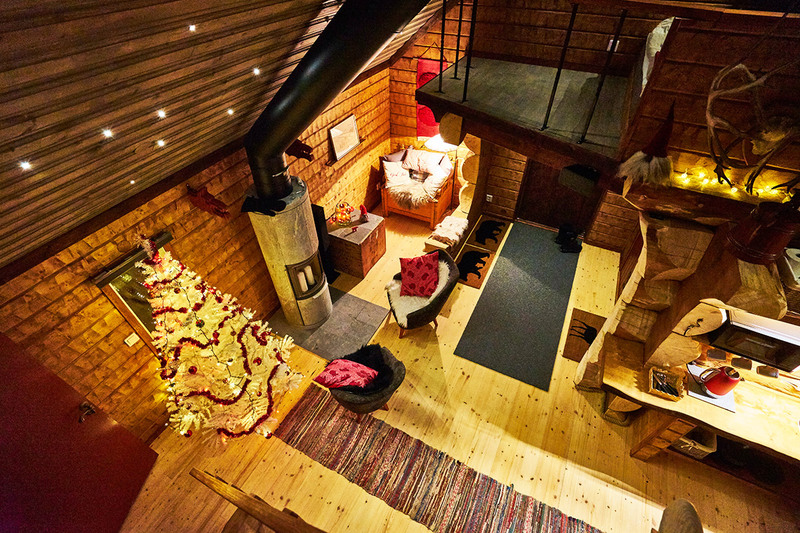 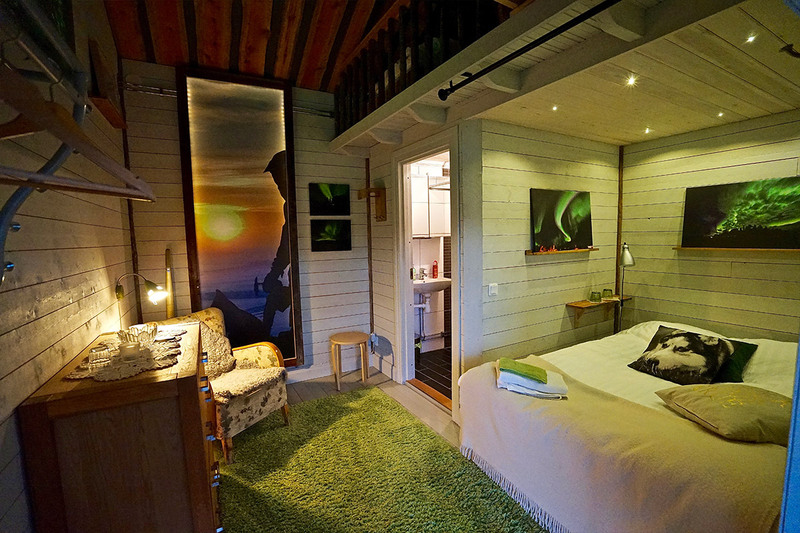 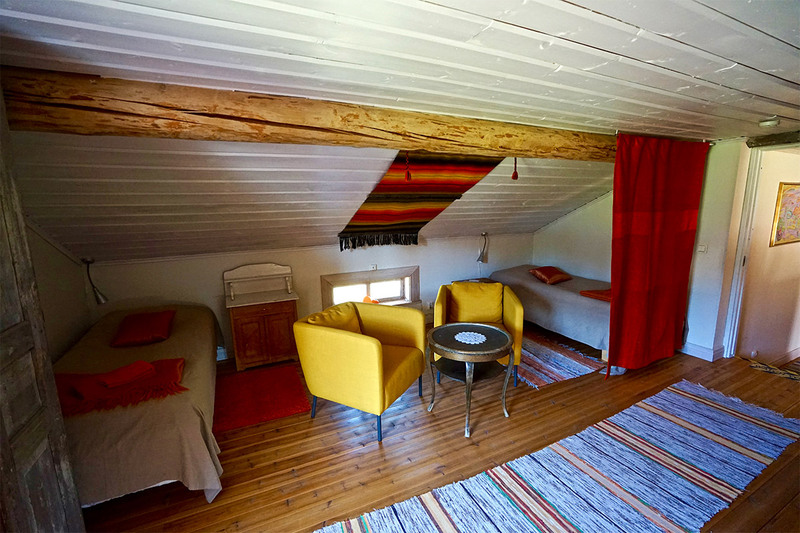 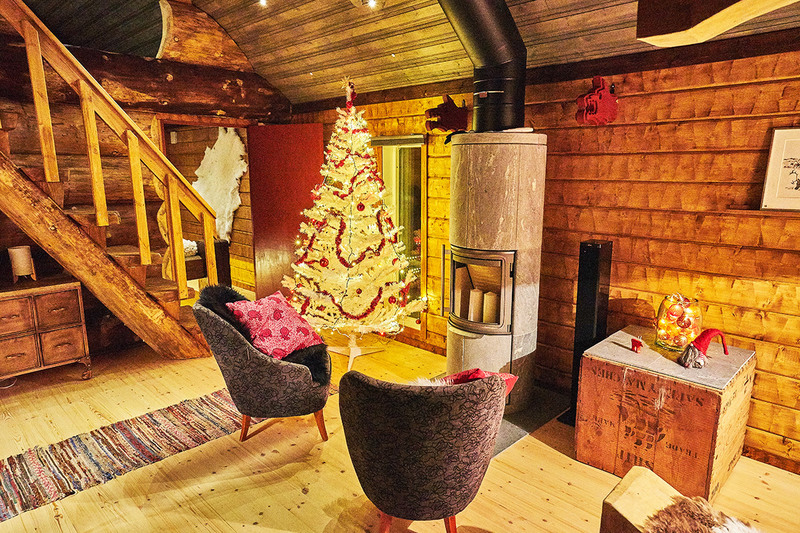 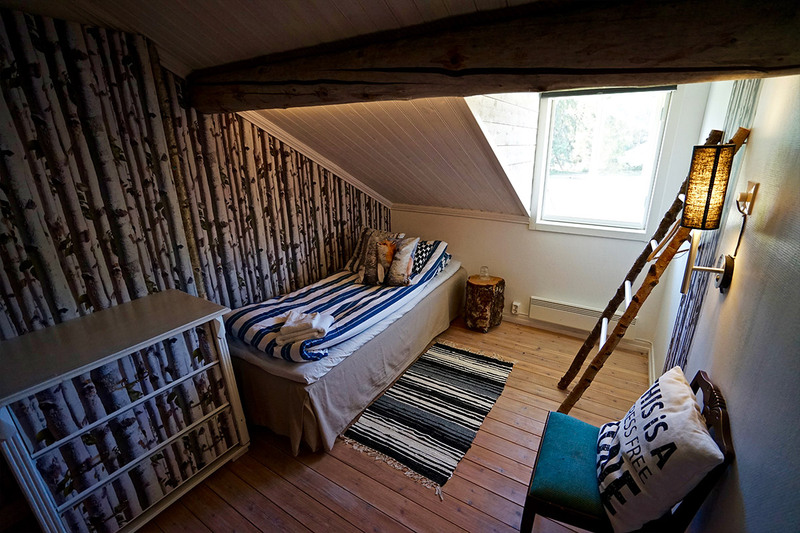 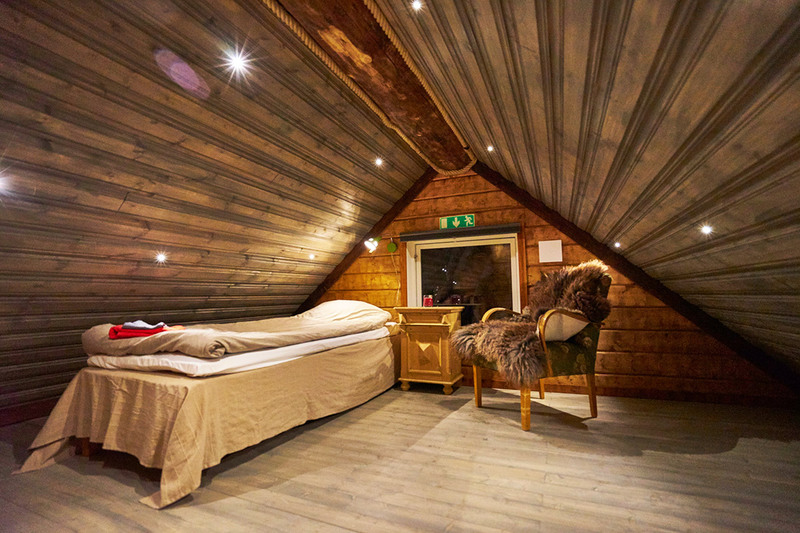 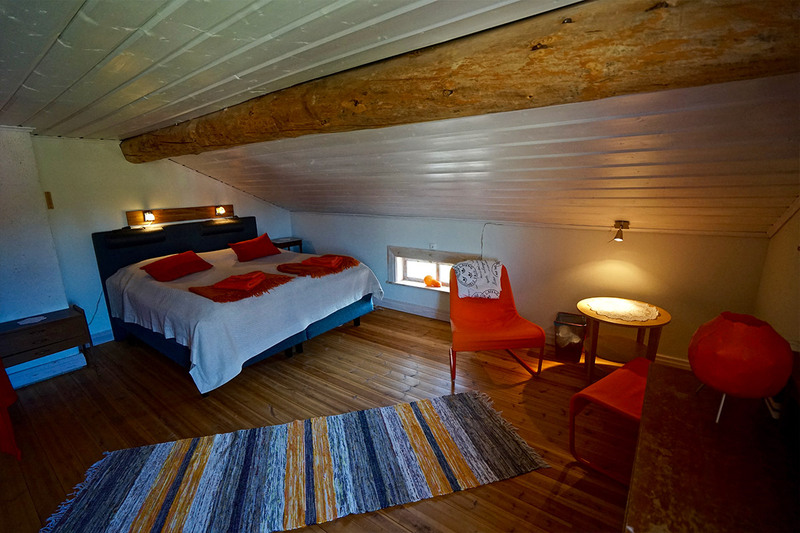 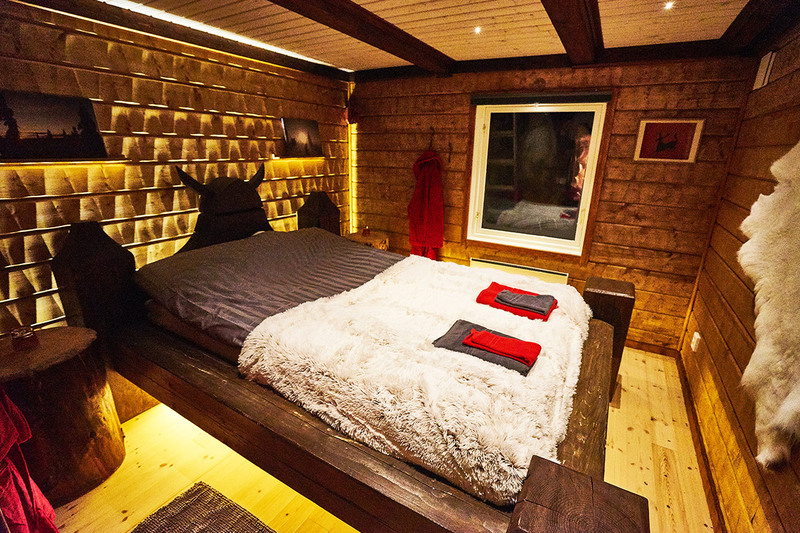 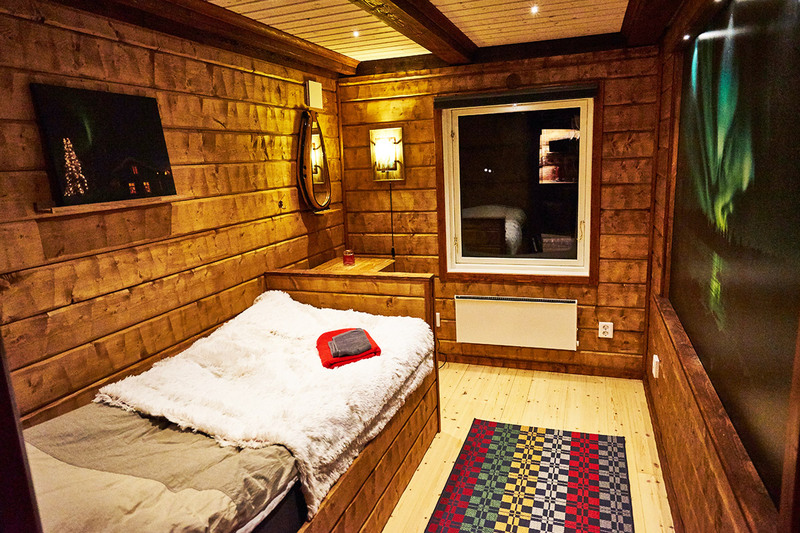 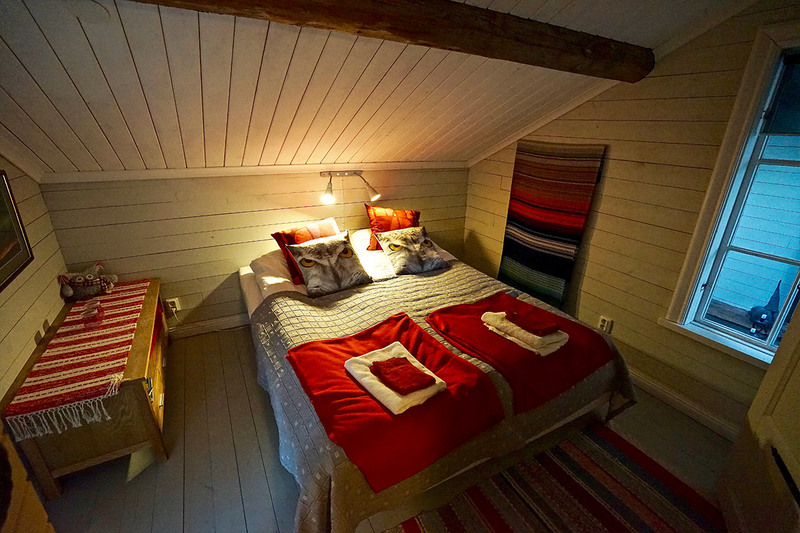 The cabin is divided into a single bedroom, a double bedroom, a loft, a living room and a bathroom. 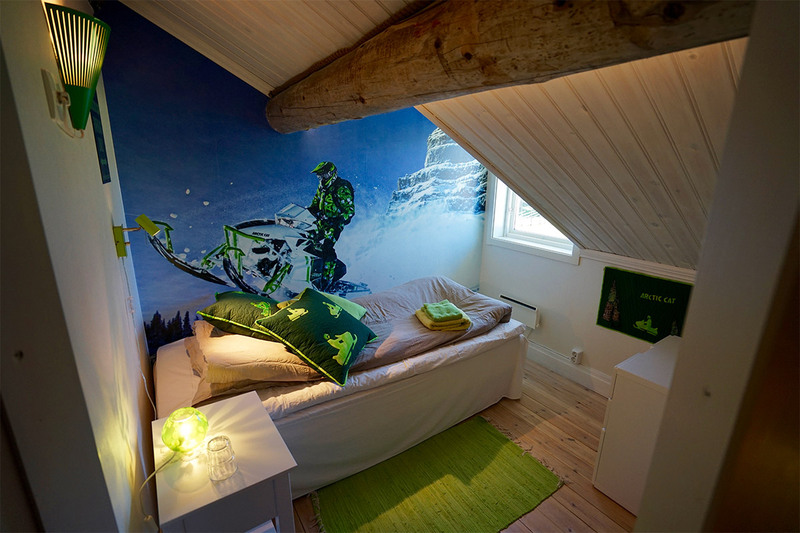 All of them decorated in true Viking style. 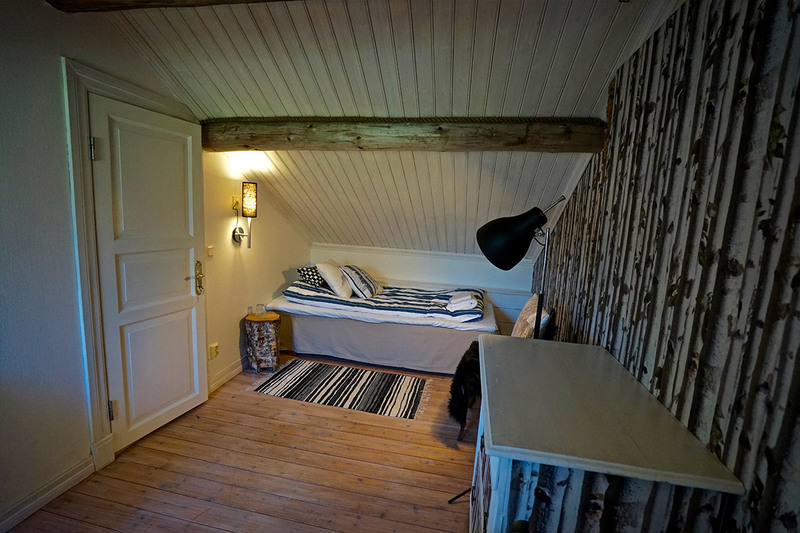 Double room with shower and toilet in the same building. 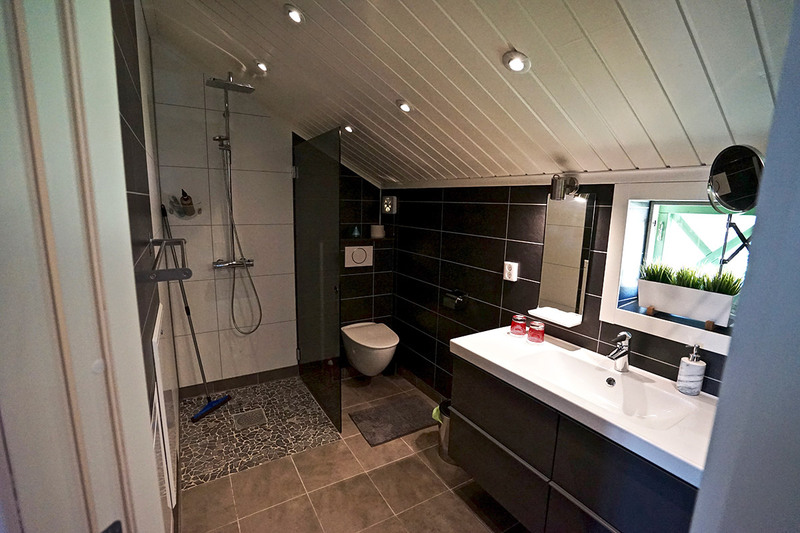 Single room with shower and toilet in the same building.